Elinor is an Extraordinary, and the only one in England capable of wielding fire in over one hundred years. As an Extraordinary, she is respected and feared, but to her father, she represents power and prestige for himself. Mr. Pembroke, having spent his life studying magic, is determined to control Elinor and her talent by forcing her to marry where he chooses, a marriage that will produce even more powerful offspring. Trapped between the choices of a loveless marriage or living penniless and dependent on her parents, Elinor takes a third path: she defies tradition and society to join the Royal Navy. 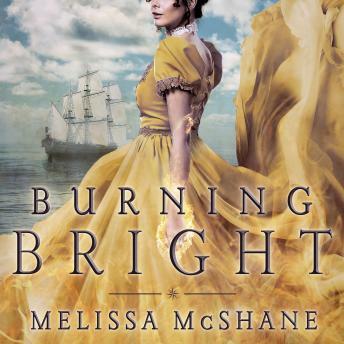 Assigned to serve under Captain Miles Ramsay aboard the frigate Athena, she turns her fiery talent on England's enemies, French privateers, and vicious pirates preying on English ships in the Caribbean. At first feared by her shipmates, a growing number of victories make her truly part of Athena's crew and bring her joy in her fire. But as her power grows and changes in unexpected ways, Elinor's ability to control it is challenged. She may have the power to destroy her enemies utterly-but could it be at the cost of her own life?